I first devoured the Song of the Lioness series when I was ten; to say that it was my favourite set of books ever is to understate the case. 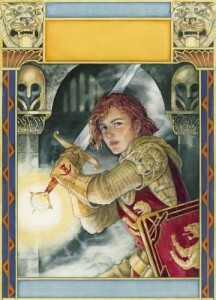 Alanna, the series protagonist, was my childhood hero, and not just because she had a magic sword and a talking cat. Alanna was my hero because she was doing something forbidden and getting away with it. It wasn’t an especially bad thing that she was doing, like selling drugs or stealing, she was just doing what the boys did – playing with swords, riding horses, going to war – and if that meant she had to lie about her gender, well, that only added to the tension. 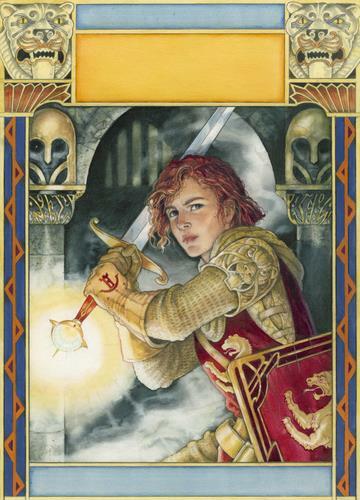 In Alanna’s world (which featured magic and dashing heroes), girls weren’t allowed to be knights, they had to be pretty and go to court and get married, which might work for some girls, but for Alanna, who wanted to be a knight, it sucked. Not about to be denied her dream, she traded places with her brother, who wanted to be a wizard not a knight, and, after much hard work, achieved her dream. As well as her from her tendency to buck the trend, Alanna also possessed a number of other hero-worthy traits such as determination, loyalty, a fine sense of honour and selflessness. It’s because of these traits, more than her skill with a sword, that she achieved the respect of her peers, not to mention the title of King’s Champion; the love of a prince, a master-thief and a martial arts master; and a really pretty horse. As much as a role-model as she is a hero, Alanna tells young girls (and boys) that anything is possible, if you’re a good person and you’re willing to work for it. Who, from book, film or TV, is your childhood hero?